If you’re interested in travelling Australia, you’ve probably heard that it’s quite an expensive country. And as most of you readers are backpackers on a budget, it’s crucial you learn how to find cheap accommodation in Australia in order to keep your costs down and spend your hard-earned dollars on the fun stuff! Luckily, Australia receives around 8 million international visitors a year, many of them backpackers on working holiday visas, so the country is absolutely brimming with cheap accommodation choices for budget travellers. There are SO many more options than hostels. Did you know that two of you sharing a private double room via Airbnb can sometimes work out cheaper than a hostel dorm? I was amazed to discover that in Melbourne. 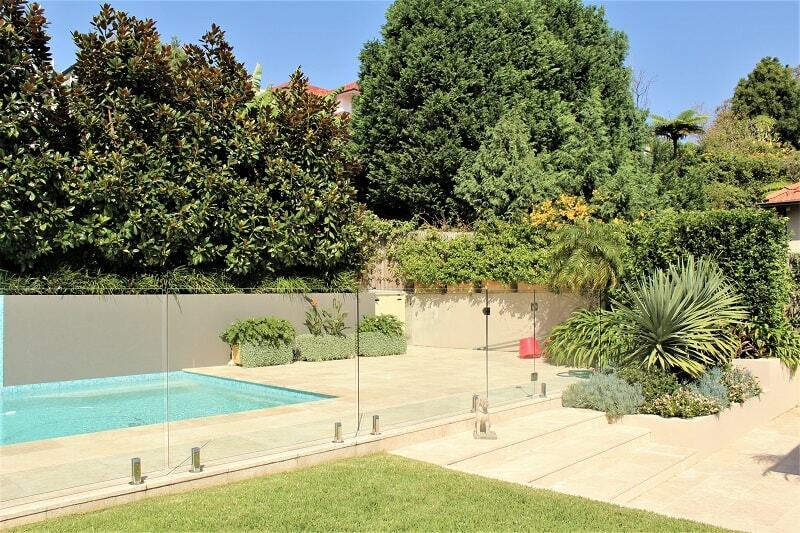 Or that you can get paid to stay in luxury accommodation by house and pet sitting like I do in Sydney? I’ve travelled Australia extensively and stayed in virtually every type of cheap accommodation that exists here. While hostels are great for socialising, they’re not always available outside of the major cities. To help you out I’m sharing everything I’ve learnt about finding cheap accommodation in Australia, so that you can travel cheaply too and make the most of your epic adventure. House sitting in Australia is a booming industry, and my preferred accommodation choice as it’s free, usually very comfortable and involves looking after lovely animals. Once you’ve gained experience and a good reputation you can even charge a fee. To learn more about what house sitting involves, check out my blog post: what is house sitting. You can also read all about how I saved $30k house sitting across Australia, which is packed with tips on how you can get into it too. I’ve never tried couchsurfing myself, but some of my friends have. It’s when a local resident offers to host travellers in their home – this could literally be on a couch or in a spare room – at no cost to the visitor. Couchsurfing.com connects travellers with both local hosts and each other via events all over the world. Now this I have tried. 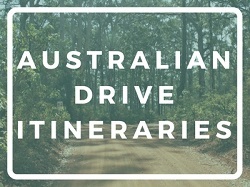 If you’re on the road in rural areas, bush camping will likely be your best option for cheap accommodation in Australia. The campsites are very basic, usually in national parks, and if so, are maintained by the government’s national park services for each state. The prices range from free to around $30 per tent. When I did my Perth to Adelaide road trip sites were usually $15 max in Western Australia, but Victoria and New South Wales seem to charge more. You either pay via an honesty system (a donation box on the site) or by booking online. The campgrounds are not usually manned by staff, just visited for maintenance, and the typical facilities are compost toilets only, though some sites have showers and power sockets. You normally need your own drinking water and gas cooker. You do have to pay for national park passes too, but if you’re on a road trip you will probably be visiting national parks anyway, regardless of whether you camp or not, and have a multi-visit pass. Bush camps are great for an occasional cheap night during road trips, and they’re usually in beautiful locations. You can buy cars and campervans from other backpackers with all the camping equipment included. 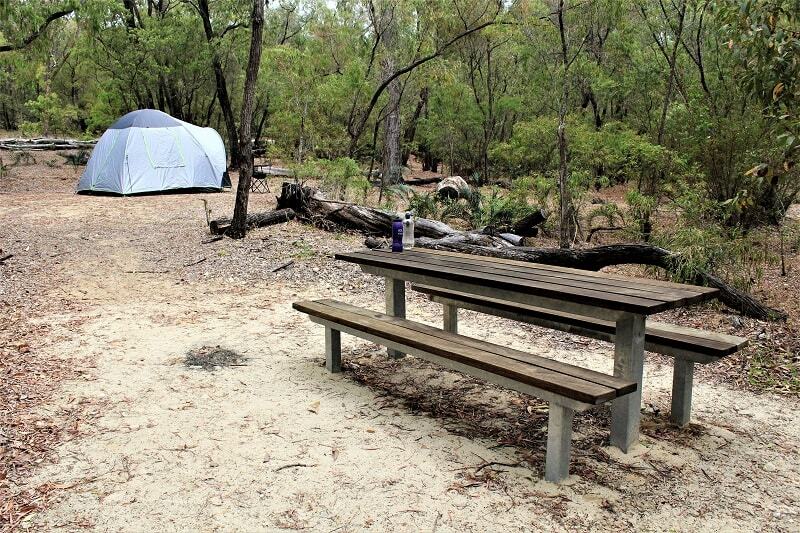 Here are the links to find and book national park campsites in each Australian state and territory. 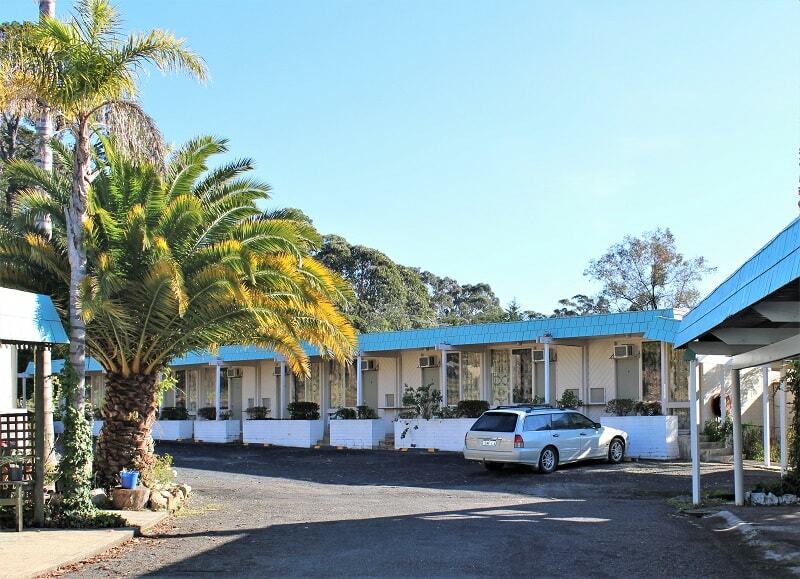 Caravan parks are a really common choice of cheap accommodation in Australia, and they’re honestly not full of chavs like the Caravan Club in The Inbetweeners! You’re more likely to be neighbouring with other backpackers and wealthy Australian pensioners (“silver nomads”) travelling in swanky renovated buses. 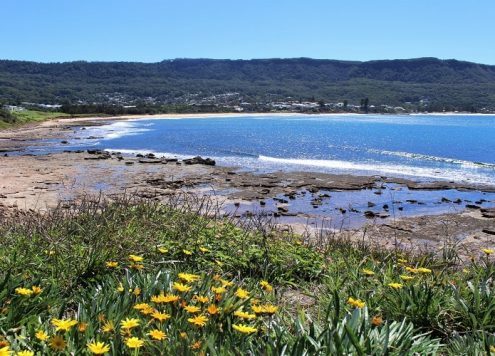 You’ll find caravan parks not only on the outskirts of major cities but all across the Australian coastline. You can usually either pitch a tent or stay in your campervan or caravan. The price is nearly always per tent or van, not per person, so if you’re travelling solo they’re not actually that cheap. But if two of you are travelling together it’s much more affordable than hostels. 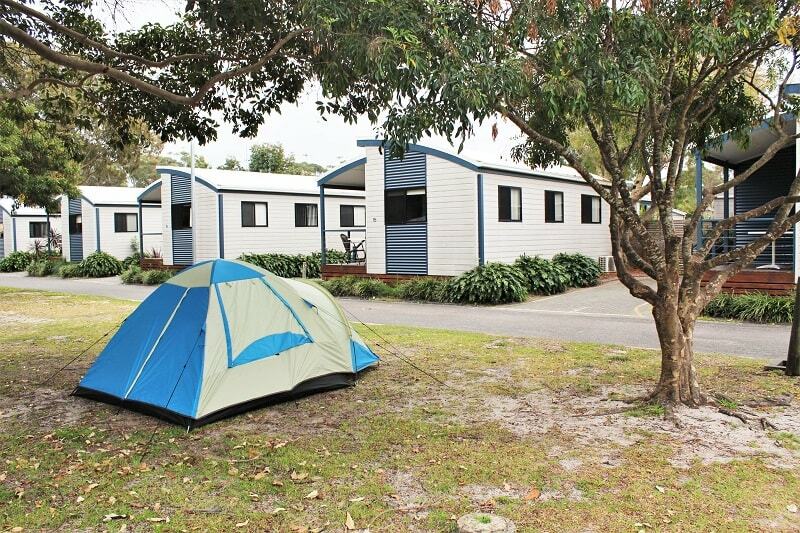 For a basic, low budget caravan park they charge about $25 per tent or campervan. The fancier ones charge up to $45, particularly if they’re in a big town or city. The large chains like Big4 Holiday Parks and Discovery Holiday Parks (similar to Haven in the UK) usually charge the most, but have excellent facilities like swimming pools, games rooms and even outdoor cinemas! Great if you’re travelling with children. 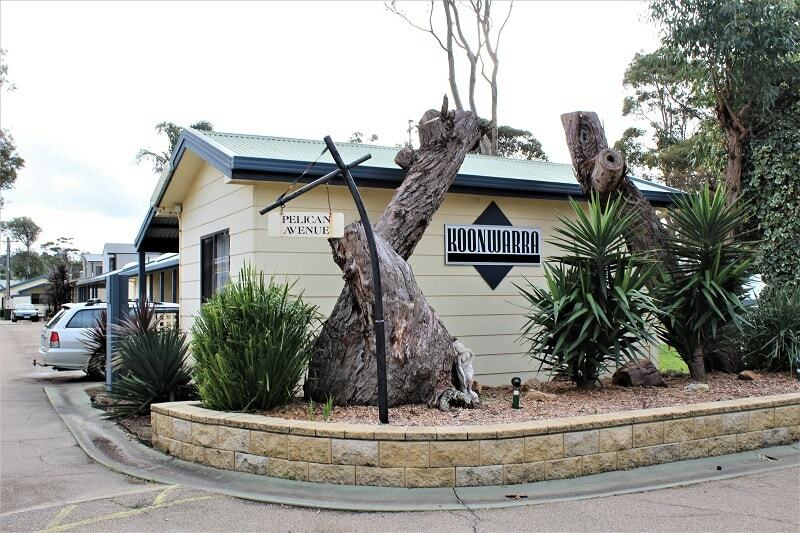 Most caravan parks in Australia have power sockets, toilets, hot showers and fully equipped kitchens. They’re great to alternate with bush camping during your road trip so you can shower and recharge your electrical items. They’re also a bit more manicured and in less rural areas so they have less insects! Free Wi-Fi is unfortunately not standard so you may need to visit a local café or library if you have a lot of stuff to do online. 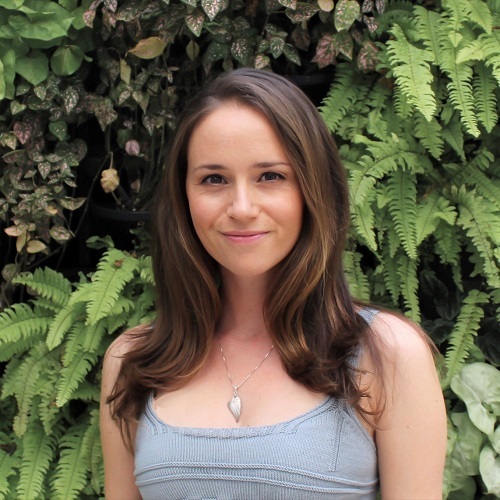 There’s also a great Australian website I’ve just discovered called youcamp.com, which works like Airbnb but for land on people’s private properties. There’s everything from basic camping to luxury glamping. Wish I’d known about that on my road trip! 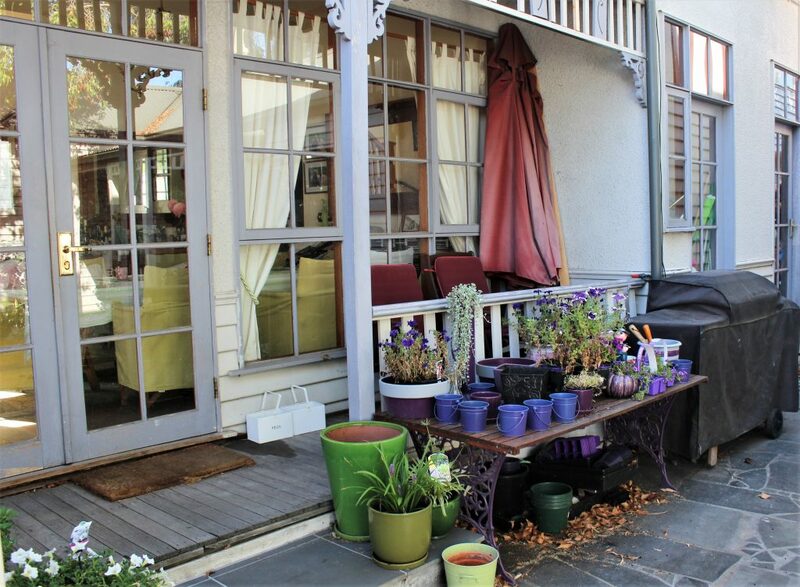 Hostels are the most popular type of cheap accommodation in Australia for backpackers . They’re usually clean, safe, warm and well equipped with facilities like kitchens, free Wi-Fi, TV rooms and proper bathrooms. They’re also great for socialising. 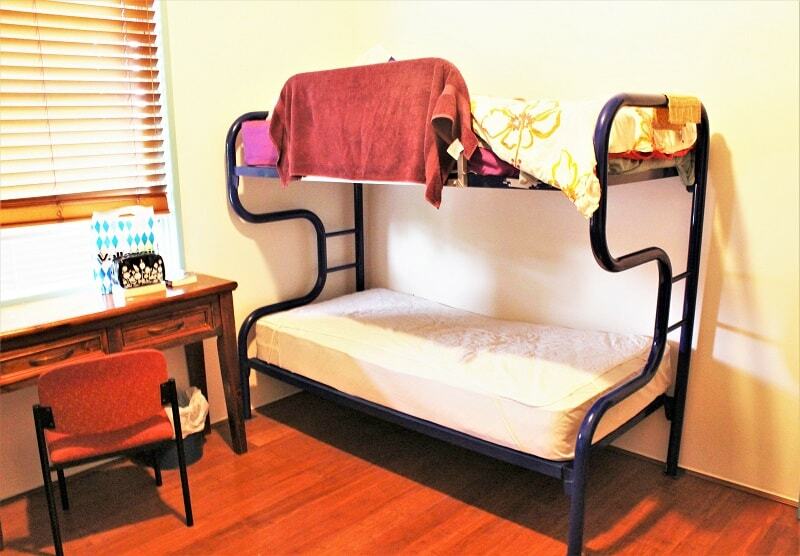 Hostels in Australia tend to cost around $30 for a bunk bed in a dorm room, but can vary depending on the season, size of the dorm and how nice the hostel is. 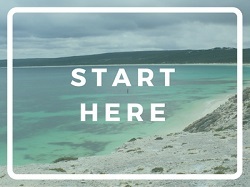 I’ve written a whole blog post on what hostels in Australia are like and how to book them. I had no idea what a homestay was until I arrived in Melbourne in the middle of summer without booking anywhere in advance and ended up sitting in McDonalds at 11pm desperately scouring the web for accommodation (not my best memory). Traditionally homestays are for overseas students studying English, who want to stay somewhere more homely and practise speaking English with a family. However, there are websites such as homestay.com where tourists can book this sort of accommodation too. I paid $50 per night in peak season in Melbourne, and that was to sleep on a very short sofa! Melbourne was so booked up that weekend that the home owner kept receiving desperate calls from the airport trying to accommodate all the people stranded there with nowhere to stay! Looking at the website now, in the middle of autumn, you can actually get double rooms for as little as $30 – half the price of an Airbnb or hostel dorm if there are two of you! You might even get a free laundry service and breakfast too! If you’re travelling as a couple or don’t mind sharing a double with a friend, Airbnb can actually work out the same price or less than a dorm bed in a hostel. 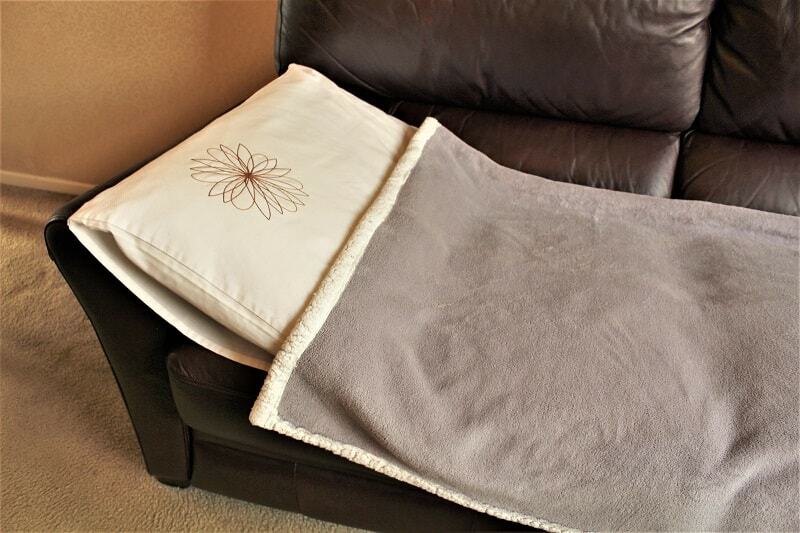 Prices for a spare room in a house or apartment where the owner is living there start at around $50 in Australia. They’re not ideal if you want to meet lots of people, but you get more privacy than in a hostel, there are less people using the kitchen and bathroom and they’re usually a better standard. A great choice for couples. If you haven’t signed up to Airbnb yet, make sure you use my link to get $55 off your first Airbnb stay! Most caravan parks in Australia have cabins or villas for hire; they’re a bit like the static park homes you get in the UK. I stayed in one during my Melbourne to Sydney road trip since not everywhere had hostels and it was way too cold to camp during the winter (2 degrees some nights). Off-peak prices start at around $60 per cabin at cheaper parks, but they go up a lot in the summer. You can get larger cabins too so this could be a really cheap option for a group of 3-5. The cheaper ones can be pretty basic but you get a kitchenette, bathroom, heating and tv. Better than a tent anyway! Just Google “caravan park” and whichever town you’ll be staying in. Websites for local tourist boards or visitors’ centres tend to list them, and sometimes they come up on hotel comparison sites too. Motels always excite me as we don’t have them in the UK, and they remind me of American films where people are on the run! They’re pretty common in Australia too, and I stayed at one in Eden on the solo trip I mentioned above. In the middle of winter it cost around $60 per room, but it was a very low budget place; retro is putting it politely! It was a triple room though so a great option for a group or couple. Downside is there’s no kitchen. Motels will show up on hotel comparison sites like booking.com, or just use Google. 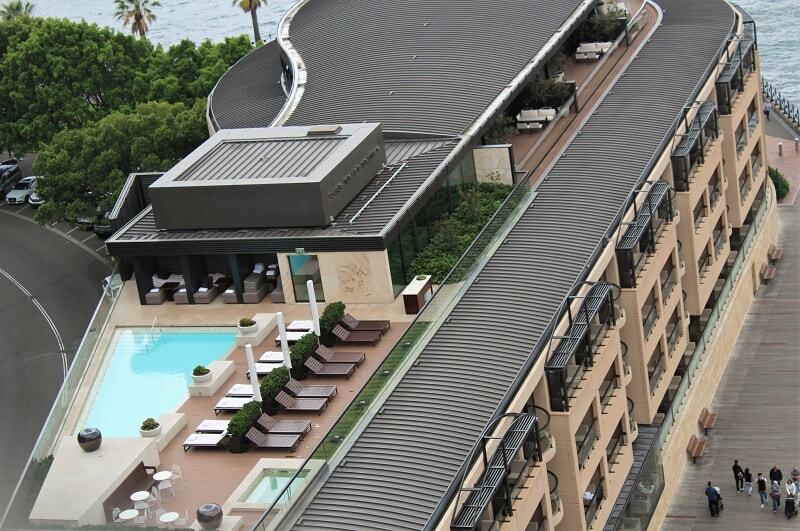 Park Hyatt, Sydney – not exactly budget, but the pool looks nice! Hotels definitely aren’t the cheapest accommodation in Australia, but you can sometimes get single and double rooms starting at $60 out of season in the cities. It’s worth checking lastminute.com or booking.com for any deals they may have on, but I’ve never found any to rival hostel prices if you’re travelling alone. Obviously you don’t get a kitchen either, so you’ll have to buy meals out, and you’re not going to meet many people. A good option for shorter trips though if you want more privacy and don’t have such a tight budget. Cheap Accommodation in Australia – plan it, book it, enjoy it! Whatever your budget, Australia should have something to suit your needs, and hopefully this blog post will open up some options you’ve never thought of before. 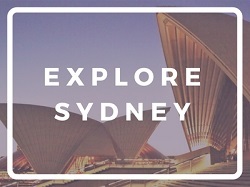 Whatever you do, try to book accommodation in Australia advance, particularly in peak season. The last thing you want on your trip is to be trawling the streets for hours carrying your backpack or sleeping in the car – I’ve done both of those things; it wasn’t pleasant. But most of all, have fun! 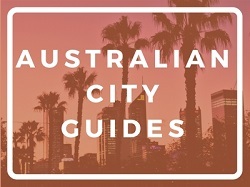 Australia is a beautiful place and there’s so much to see, from cities to beaches to bushland. Enjoy your journey!